Arguably one of the world’s most iconic road trips, Route 66 passes through eight states and three time zones. While the original US Highway 66 no longer exists, you can still follow the path it took through the US on other highways and roads. Start in Chicago, and pass through St Louis, Oklahoma and Albuquerque, before reaching the Grand Canyon, Las Vegas and last but not least, Los Angeles! 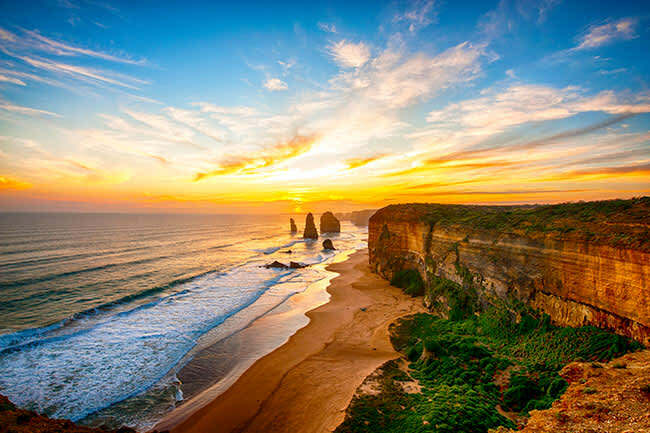 Stretching 151 miles along the coast, you’ll have a once-in-a-lifetime experience on a road trip along the Great Ocean Road. From spotting kangaroos and koalas to surfing and swimming in the sea, you’ll experience it all on this stretch between Torquay and Warnnambool. One of the highlights is sure to be seeing the Twelve Apostles, a formation of rock pillars up to 200 feet high, although there are now only eight left. The South Island of New Zealand is perfectly suited for a driving holiday, with an abundance of beautiful natural attractions and activities to discover. How much you can experience depends on how long you are able to spend travelling the island, but six days would be enough time to visit Christchurch, Arthur’s Pass National Park and the lakeside resort town of Wanaka. Here you can try exhilarating activities at any time of year, from skiing to kayaking, before moving on to the Alpine resort of Queenstown. Previously rumoured to be the Duke and Duchess of Sussex’s honeymoon destination, the Skeleton Coast in Namibia is a unique road trip destination you’ll never forget. Start your adventure at Swakopmund before heading north through the National West Coast Recreation area, Henties Bay and the Cape Cross Seal Reserve – home to as many as 250,000 Cape Fur Seals. 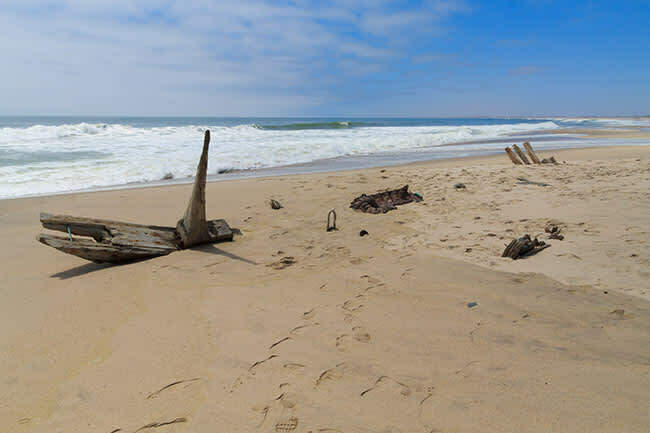 From here, you’ll reach the Skeleton Coast National Park, so called because it has been described as Africa’s answer to the Bermuda Triangle. The Road to Hana may be short but your journey is sure to be action-packed, with six hundred twists and turns plus fifty narrow bridges making it the drive of a lifetime. Each and every turn serves up new views of the tropical jungles, waterfalls and dramatic cliffs that drop to picturesque Hawaiian beaches. Taking a circuit around Basque country is a top choice for a European road trip. The 300 mile loop passes through Bilbao, Pamplona and Biarritz, with spectacular views of the Pyrenees, rugged cliffs and coast among the striking natural wonders you’ll see along the way. You’ll experience both city life and beautiful countryside on the journey between New York and Niagara Falls. 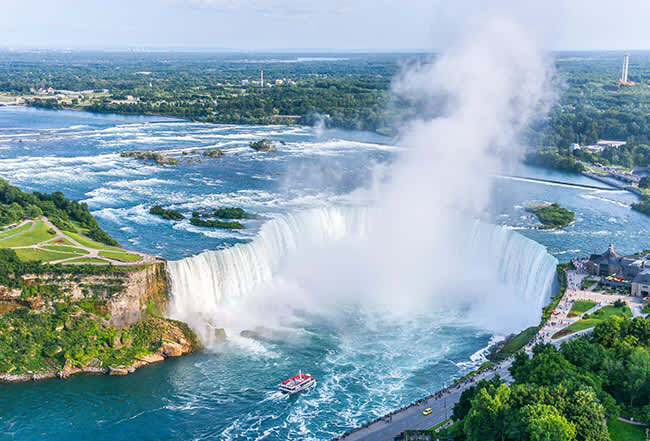 The journey is approximately 460 miles and covers the Hudson Valley, Albany and Syracuse, before culminating at the natural wonder of Niagara Falls. The North Coast 500 is considered as one of the world’s best coastal routes, and spans some 800 miles on a loop that starts and ends at Inverness. Whether you choose to just follow a short stretch or explore the entire route, you won’t be disappointed with the mesmerising Scottish scenery here. 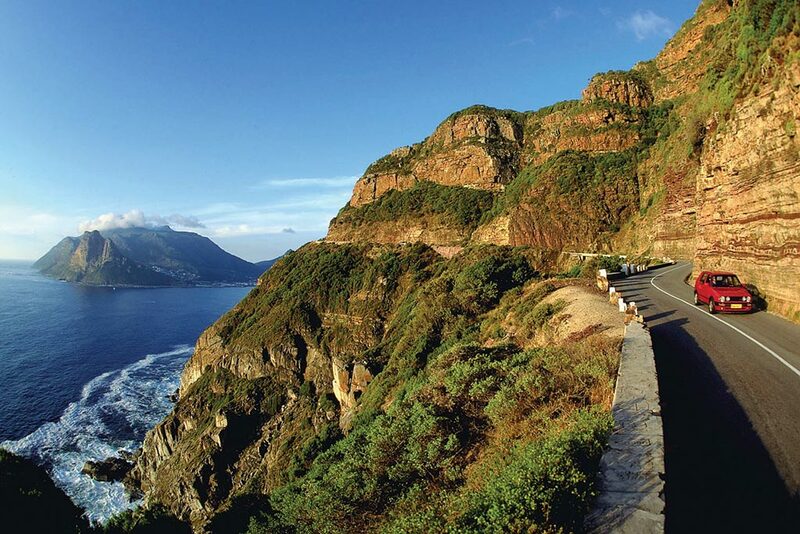 Discover South Africa’s natural beauty on a driving holiday along the Garden Route, which passes mountains, lakes, vineyards, sandy beaches and more. Start your journey in the harbour town of Mossel Bay, Western Cape, and follow the road northeast until you reach the Wilderness National Park and end at Storms River, Eastern Cape. 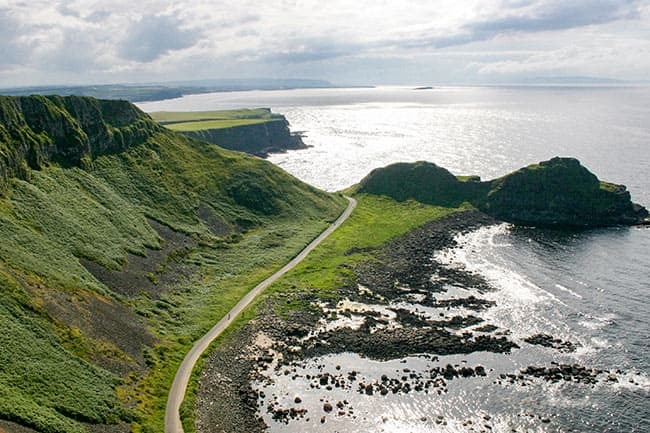 Another of the United Kingdom’s post popular road trip destinations is the Causeway Coastal Route, which runs 120 miles between Belfast and Londonderry. Game of Thrones fans won’t be able to resist stopping to see some of the landmarks seen in the show, such as the Dark Hedges, while you won’t want to miss a pit stop at Giant’s Causeway. Big Sur is considered one of the most memorable stretches of coastline in the world, and a truly iconic road trip choice. While the route is undeniably beautiful, it is also a narrow and twisting route that can become crowded at times. Take your time to stop off and absorb the views across the Pacific Ocean on this famous 90 mile route. 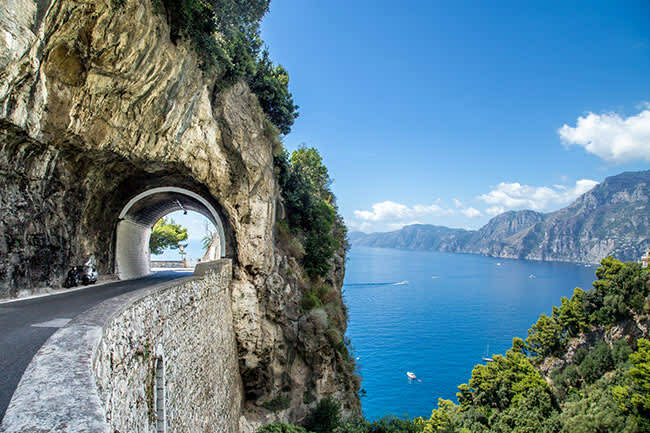 Enjoy a driving adventure along Italy’s picturesque Amalfi Coast, stopping to enjoy the culture, cuisine and Mediterranean climate at hotspots like Amalfi, Positano and Ravello. The route from Sorrento to Salerno follows a narrow and winding road with hairpin bends, so you’ll have to be focused to keep your eyes on the road rather than admiring the breath-taking scenery. The world’s largest salt flat, Salar de Uyuni, offers a road trip like no other. One for the thrill-seekers, you’ll have an incredible experience driving across the stark white and perfectly flat surface, which could easily be mistaken for ice. This road once made a famous appearance on Top Gear, and has since become recognised as one of the best for driving in Romania. You’ll find more tunnels and viaducts here than on any other road in the country, with one almost half a mile long. And on the route you’ll pass Poenari Castle, the former residence of Vlad the Impaler. This road only spans 40 miles, but follows such a memorable route that it’s a must for driving fans. Passing through Baden-Baden along to Freudenstadt, you’ll see traditional German houses en route, and have the opportunity to sample gastronomic delights such as Black Forest gateau and Black Forest ham. This 487-mile route passes through historic towns like Klondike, as well as the Alaska Panhandle and former frontier town of Skagway. The Carcross Desert, considered the smallest desert in the world, is another must-see on your route. Want to put your driving skills to the test? 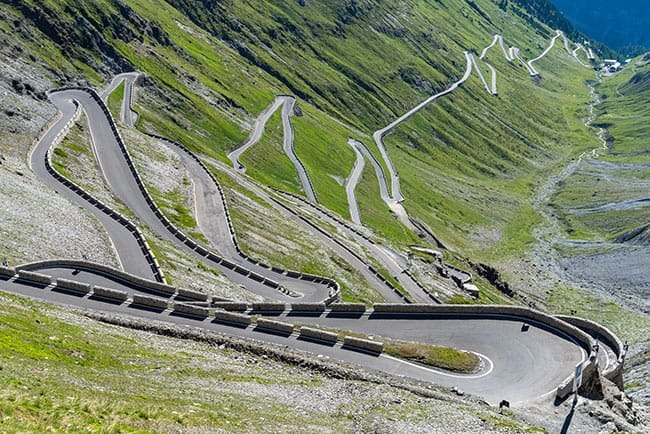 Stelvio Pass is the place to come. With 60 hairpin bends on a 15 mile stretch of road – not to mention as you climb 9,045 feet – this is a truly challenging road trip destination. The High Alpine Road offers breath-taking views over 37 mountains along a winding 30-mile stretch of road. The road climbs to a high altitude of 8,215ft and features 36 hairpin bends, so it’s one for an exhilarating adventure! Experience all that Brazil has to offer on this 370 mile coastal route spanning from Santos to Rio, passing the Serra do Mar mountains, the pretty city of Paraty, before ending in the lively capital of Rio, where you can relax on Copacabana beach after a thrilling journey. You don’t have to venture too far from home for an exciting road trip adventure. Hardknott Pass in the Lake District is a high-rise road between Eskdale and Wrynose Pass on a zigzagging route. Be warned, there are a number of hairpin bends along the route!